I took Sam for a walk on the Core Trail this morning because this pregnant mama needed some exercise, and we encountered a surprise! 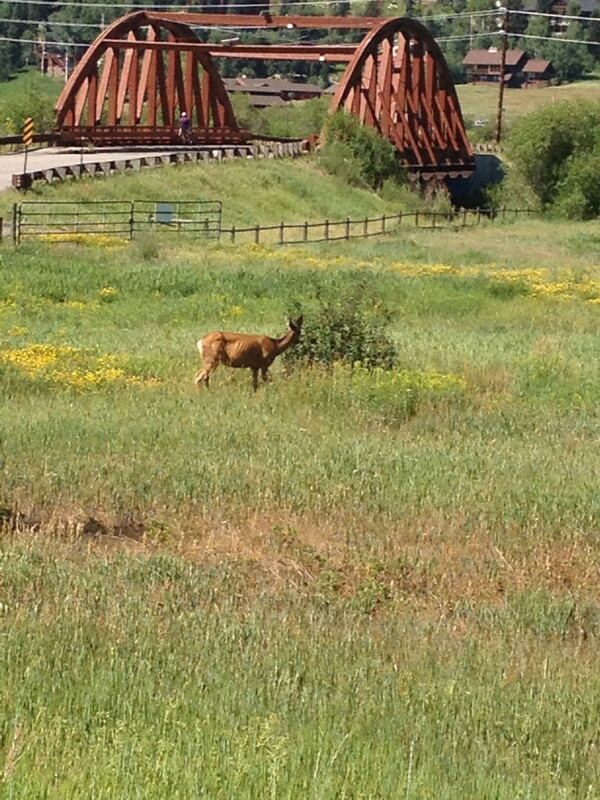 We see a lot of elk and moose around here, but a deer isn’t as common. It reminded me of home. I miss home sometimes. Sam and I sat and watched it for a long time before walking on. I love how interested he is in nature and even has the proper voice to keep the animals we encounter from spooking. Such an amazing kid. I think I might have walked a little too far though. I’m pooped and sore!